Chick colouring pages for Easter, Spring or a farmyard theme! A lovely basket of chicks for the children to colour in bright colours - perfect for Easter or spring. Here's a pair of cute chicks peeking out of a basket for the children to colour in - a perfect colouring page for Easter or spring! Print this gorgeous chick colouring page for younger kids to enjoy at Easter or in spring time! This little chick just hatching from its shell needs a little colour to make it beautiful. This cute little chick needs a splash of colour to look amazing! Here's a colouring page with a cute chick just hatching out of an egg - perfect to colour in at Easter! 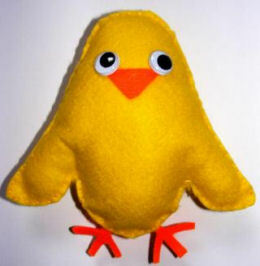 Younger children can enjoy colouring in this cute chick as a fun activity after a farm visit, or for Easter! This simple colouring page featuring a cute chick is ideal for younger kids and perfect for Easter!